The Linecheck Music Meeting and Festival is seeking for Bands & DJs from the genres Singer/Songwriter, RnB, Rap, Power Pop, Post Dubstep, Pop, Electropop, Antifolk, Alternative Rock, Worldbeat, Nu Jazz, No Wave, New Wave, Ethnojazz, Avantgarde, Worldmusic, Urban, Trap, Techno, Noisepop, Kraut Rock, Indietronica, Indie/Alternative, Indie, Hip Hop, Experimental Pop, Experimental, ETHNIC, Electronic Music, Electronica, Electro, Dubstep, Dub, Dancehall, Beats, Bass Music, Avantgarde Pop, Artrock, Art-Pop, Alternative Pop, Afrobeat. Music Innovation Hub is organizing the 5th edition of Linecheck Music Meeting and Festival that will take place from the 18th to the 24th of November 2019. Base Milano, the main innovation centre for creative industries in Milan, will be the headquarter of the event, while the music festival will spread over more than 10 different venues in the heart of the City. 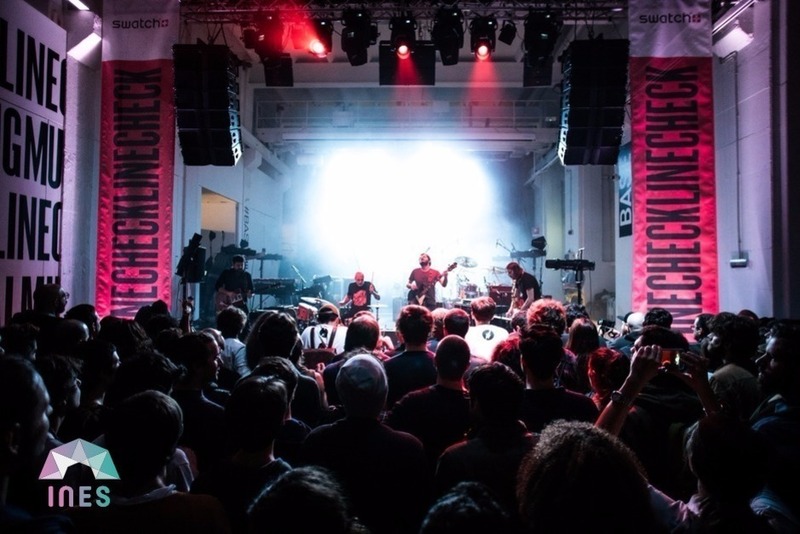 Since 2015, Linecheck has been contributing to innovating the Italian music system by both encouraging a close national and international examination of the key areas of development within the industry, and presenting a wide range of new artistic offering from all over the world. As a platform, Linecheck works alongside its partners to both receive and develop the content, giving shape to the meeting programme and the line-up for the festival, which is on track to become Italy’s leading international showcase festival. In the evenings, the Music Festival will provide the unique opportunity in Italy to discover new artists and productions. The artists to be announced share a strong identity and a drive towards innovation in their output, as well as being debut live performers on the international market, in the spotlight for a must-see performance. During the past edition, on our stages stepped artists like: Lotic, Bee Bee See, Onra, Motta & Les Filles de Illighadad, Circuit des Yeux, Cindy Lee, Agbeko, K-Conjog, Koala Voice, Federico Albanese, Ainé, Bowrain, James Holden & animal spirits, Telefon Tel Aviv, KOKOKO!, Thundercat, Calibro35 and many more.. Through this call, we will select 3 or more artists to whom we will offer a small fee, backline, accommodation and full access to all venues of Festival. Linecheck Music Meeting and Festival is part of the Innovation Network of European Showcases (INES). You are welcome to participate in this event to present your great talent and to promote yourself! We thank you for your interest in taking part to Linecheck Music Meeting and Festival and we look forward to welcome you in Milano! Good luck!! !